I am a native mid-Atlanticker and I wear it proudly. For reference, my personal definition of the mid-Atlantic is the states on the I-95 corridor between DC and NYC; inclusive of DC metro, and exclusive of NY metro. It includes NoVA, DC, MD, DE, PA and all of Jersey but North Jersey, where, in my definition, the Northeast begins. As such, I cling pretty hard to that which I consider to be mid-Atlantic, however rationally. Utz Potato Chips are a product of Hanover, PA and widely associated with the mid-Atlantic. 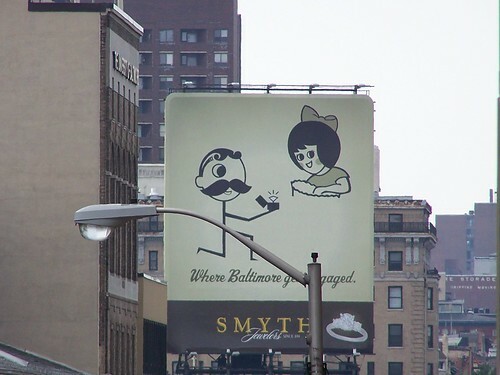 A clever billboard in Baltimore, for example, depicts National Bohemian's Mr. Boh proposing to the Utz girl. And, of course, Utz is widely regarded as part of the snack food industry in its home state of PA, which includes Snyders of Hanover and Hersheys chocolate. I say all that to say: When the Phillies take on the Yankees in the World Series, I don't want to see a damn Utz advertisement in Yankees Stadium.